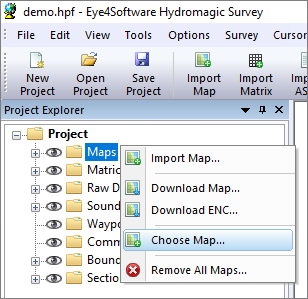 In Hydromagic, the map management module is a tool that allows you to quickly find the correct map for the area you are working in. 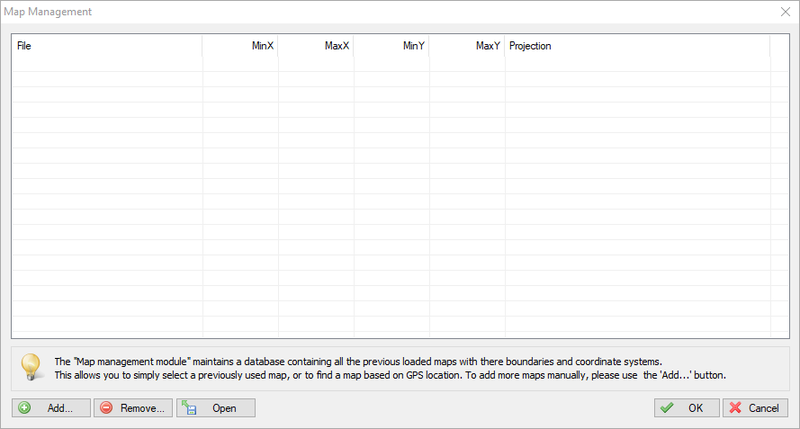 When downloading or importing maps, information about these maps, like projection and geo-referencing is automatically added to a database. When starting a project, you can refer to the map management module to open a map that is suitable for the new project (same map projection). The map management window can be opened by selecting "Map Management..." from the "Options" item in the main window menu. Depending on whether you already loaded or created projects, the list of maps will be empty or contain a couple of items. When maps are imported or downloaded, their information is automatically stored in the map management database. It is however possible to add a single or a collection of maps by hand. To do so, click the "Add..." button and a file open dialog will appear. 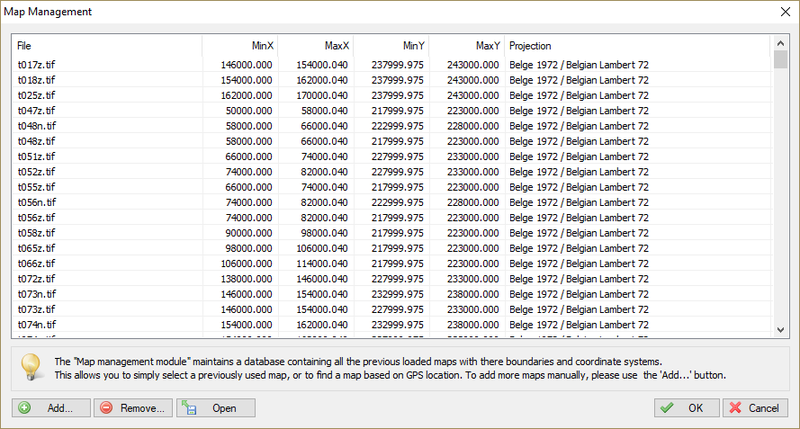 In this dialog, you can select one or multiple map files to index and store into the database. 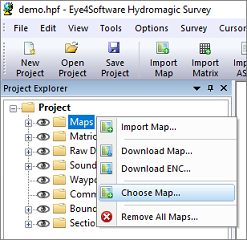 To add a recently loaded map to your project, just right click on the 'Maps' folder in the 'Project Explorer' and select the 'Choose...' map option. When the map management window shows up, just double click the map you want to include into your project.